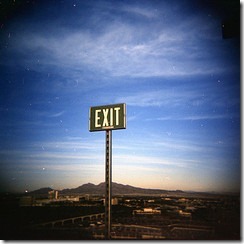 Is a company that is built to exit the same as a company that is built to flip? Not in my opinion. Understanding how to build a company that is attractive to a potential acquirer can help entrepreneurs understand how to build product suites, acquire customers and pick technologies. For me, #3 and #4 are almost identical. And #2 is not something you should aim for just staring out. Liquidation is something that happens at the end of your business. Whether it is something that happens in bankruptcy or other it is not a useful model when you are trying to grow a business. So if you merge #3 & #4 it leaves you 3 realistic exit strategies. This is not rocket science. We know what the IPO market for tech companies looks like. That leaves companies with 2 choices. Build a profitable business or get acquired. When I talk to startups everyone seems to think that acquisitions are a dime a dozen. That even based in Toronto, Montreal, Ottawa, Waterloo that they are prime acquisition targets for Microsoft, Google, Oracle, Cisco and other Valley companies. Which surprises me! Sure all of these companies have done Canadian acquisitions, they are the exception and they are done for very specific reasons. Key takeaways from this, at least if you want to be acquired by Microsoft: you really need to expect to be in business for at least seven to 10 years; you need a lot of traction and a product that people have been using for awhile; enterprise software is hot, consumer web services are not; and you need to have a fit to their strategic plans. the scale for monetization offered by a corporate giant. It starts to make a very short list for entrepreneurs about what’s important regardless of the type of exit you’re looking for. You need to have technology, customers, the right talent and a path to monetization. Companies are looking for technologies that solve problems with shared customers and that round out their offerings (then there is a the whole question about do we build it or buy it). They are looking for great teams of engineers, sales people, designers, i.e., the talent. And often large public companies bring a scale and access to market and manufacturing that are just not available to startups without huge amounts of cash. Does this all sound familiar? It’s pretty similar to investment criteria. There’s nothing wrong with building defensible technology that solves a problem for customers with a team of rockstars on a common technology platform.